The company has a Non-Ferrous Foundry consisting over 2000 patterns, & is equipped with latest facility of continuous cast & furnaces capable of manufacturing Non-Ferrous Bushes in Gun Metal, Leaded Bronze, Phosphorous Bronze, Tin Bronze and other Copper base alloys. 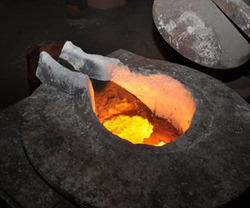 The foundry is self sufficient since the alloys are being manufactured in house to required standards and specifications. 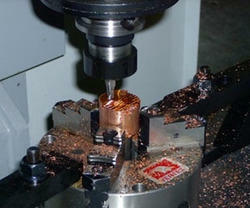 The Machine Shop prevalent in the manufacturing unit is backed by sophisticated and adequate technology. Various imported and advanced machinery found in this unit includes C N C, Lathe Machine, Slotting Machines, Center less Grinders, Milling Machines. 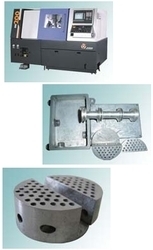 Lapping Machines, SPM’s and Drilling Machines are also prevalent in the machine shop. We have a spacious warehouse unit, which is spread over a vast area. 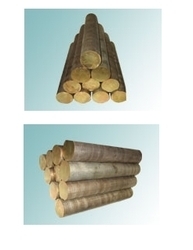 Owing to the capriciousness of this unit we are bale to store in bulk so as to meet all the requirements of the customers. The unit is segregated into various departments, this helps in easy storage and retrieval of goods. Our team of packaging experts comprises qualified professionals, provided excellent packaging facilities using superior quality packaging material. The warehouse is well protected from rodents, pests and fire, to protect the goods from any kind of damage. By adherence to strict delivery schedules, we make sure the delivery of products take place within the given time period. For customer convenience, the payments are to be done in hassle free mode. The continuous cast process permits the metal to chill quickly, producing an even or isotropic crystal structure. Blowholes and inclusions are eliminated; the customer is assured of a uniformity and reliability unobtainable in sand casting. The company has adopted latest machinery which helps to produce well in quality products. The company has a state-of-the-art technology machine workshop includes various machinery viz. CNC, Lathe Machine, Slotting Machines, Center Less Grinders, Milling Machines, Lapping Machines, SPM''s, Drilling Machines etc. With all the required jig''s and fixtures developed according to requirements. This company is fully equipped with in house lab with every required chemicals and instruments for analysis of different non-ferrous alloys the company provide guaranteed chemical analysis of non-ferrous metals as per IS, BS & ASTM.